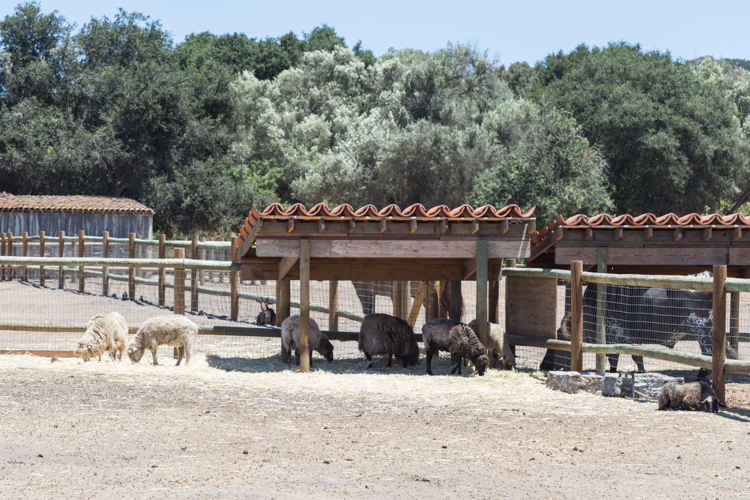 In Lompoc, California just 50 miles from downtown Santa Barbara is the La Purisma Mission State Historic Park which spans nearly 2,000 acres. Standing on a small fraction of that property and almost a small city in itself, is the La Purisma Mission. 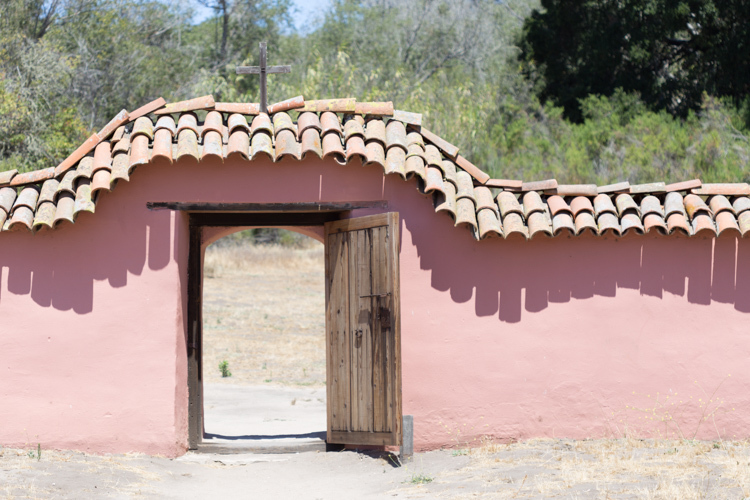 It is the only existing example in California of a Spanish Catholic mission and is thereby known as a living history museum. 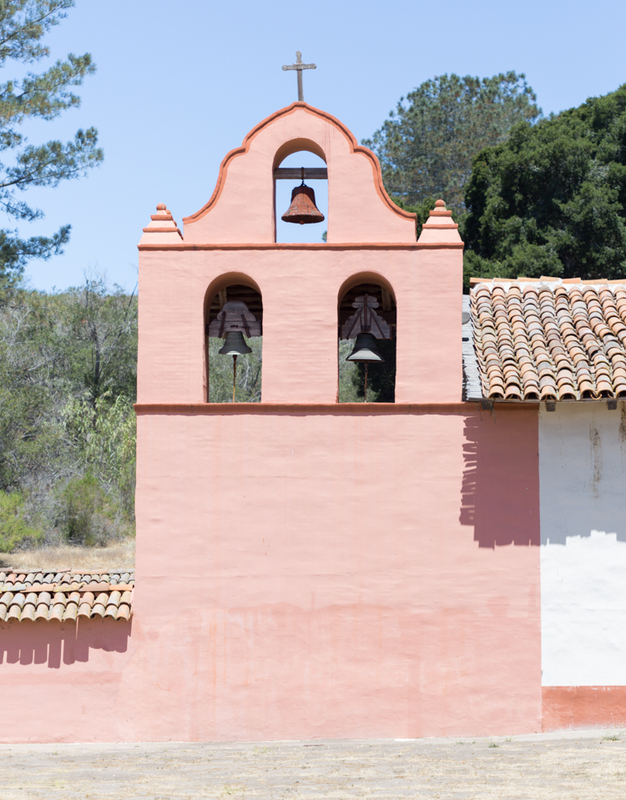 Established in 1787, it was the 11th of 21 Franciscan Missions established in Alta California. 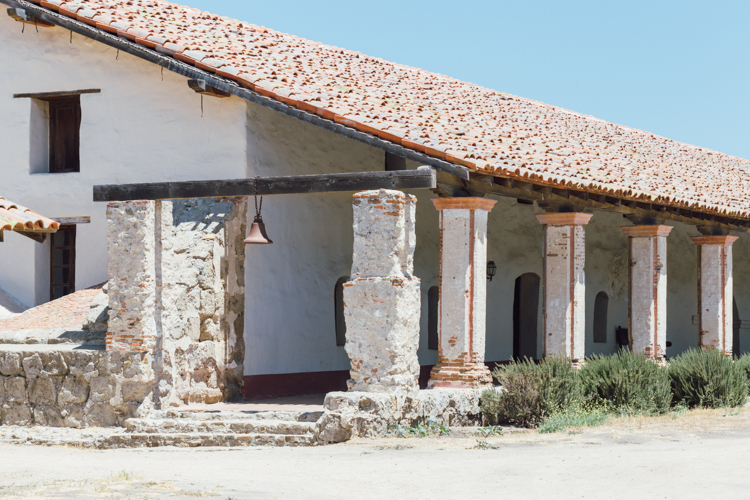 The missions were exercising great power and influence over the affairs of early California, and La Purisma at its peak was home to 1,500 people. Each year over 200,000 people visit for a chance to explore California’s heritage, either by guided or self-guided tours. 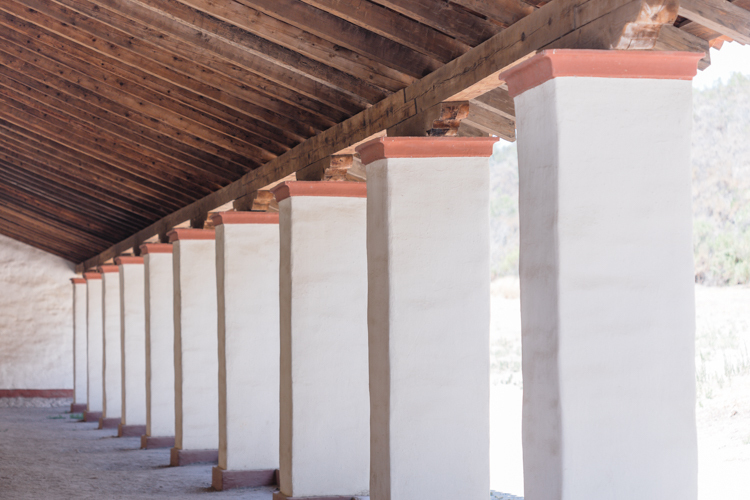 The original mission, then spanning a massive 300,000 acres not far from here, was severely damaged in an earthquake in 1813 and rebuilt at its present location using materials salvaged from the original, during which 140,000 new adobe bricks were made. The Residence building was re-constructed with reinforcements to help it withstand earthquakes. This corridor had at one time been a place to relax and socialize. 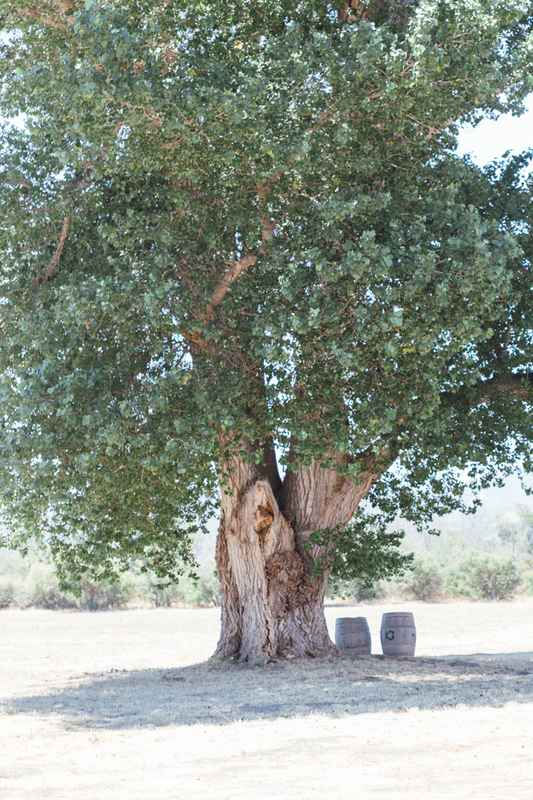 This shady American linden tree is one tiny piece of the scenery here for which visitors also enjoy the 25 miles of hiking trails. Living history events are presented throughout the year including a candlelight tour, processions, and Village Days where costumed volunteers teach cooking, basket weaving, pottery, blacksmithing, building a thatched house, making beads and dolls, and more. The quarters where soldiers were stationed have been re-produced to the match the original details. 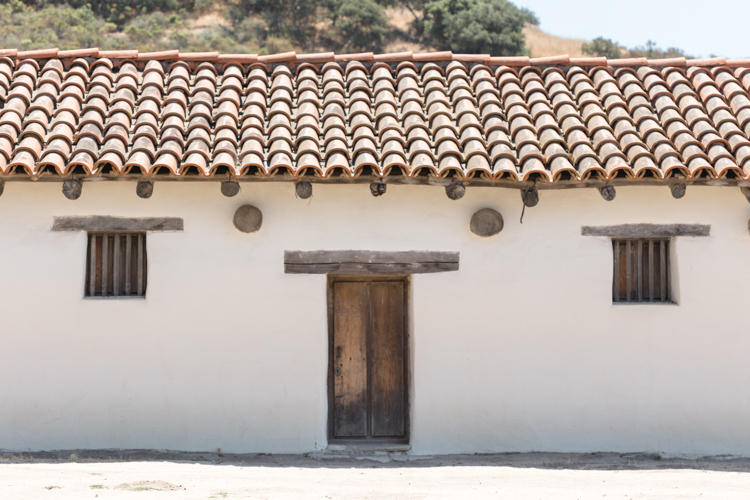 Today it stands as the most completely restored mission in California, with 37 rooms entirely restored and accurately furnished. 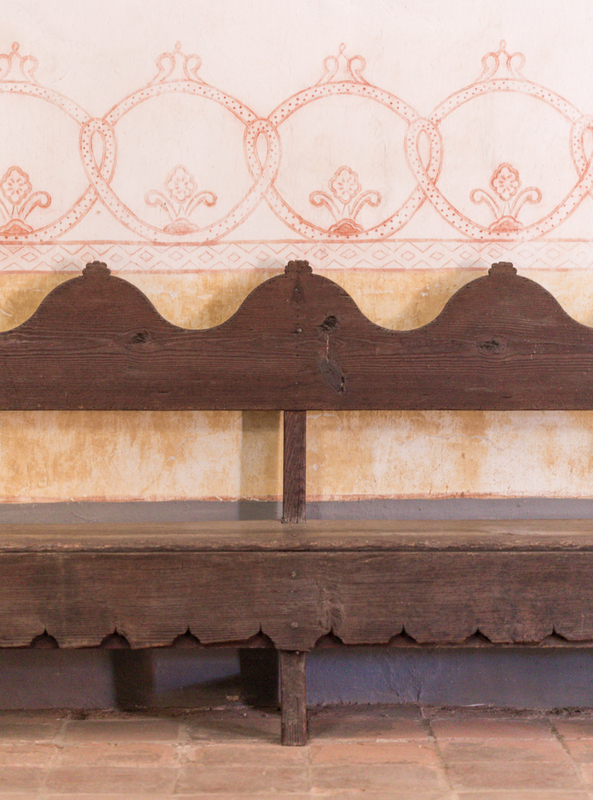 History lives on at La Purisma. 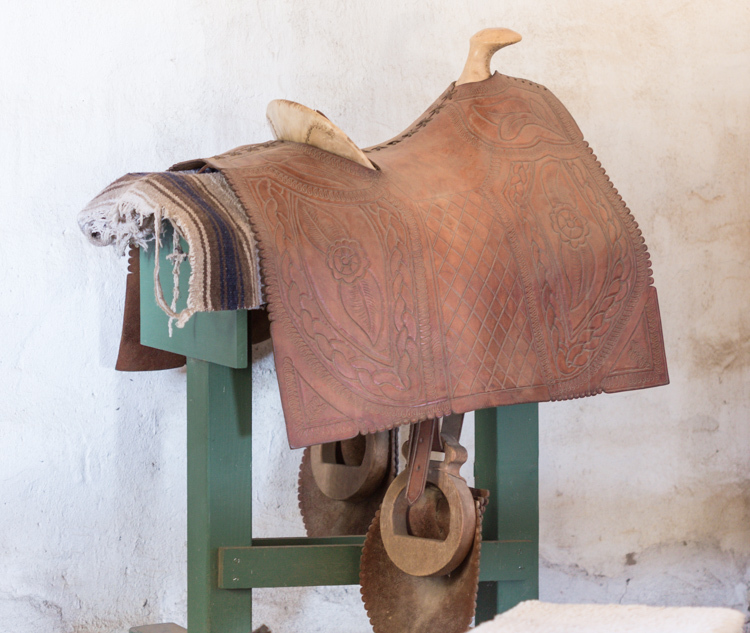 Volunteers perform demonstrations making leather crafts where participants can get hands-on experience, too. 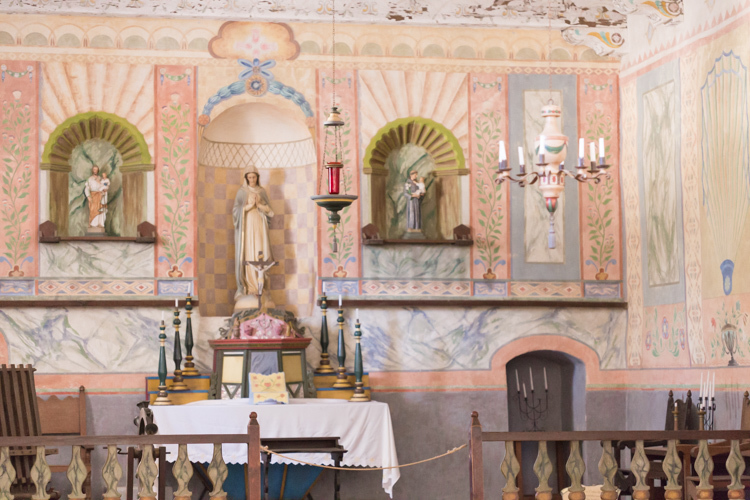 Inside the historic main church of La Purisma are events celebrating ‘Founding Day Remembrance’ recognizing the day the mission was established in 1787. Mass is held here as well as a musical performance by candlelight. 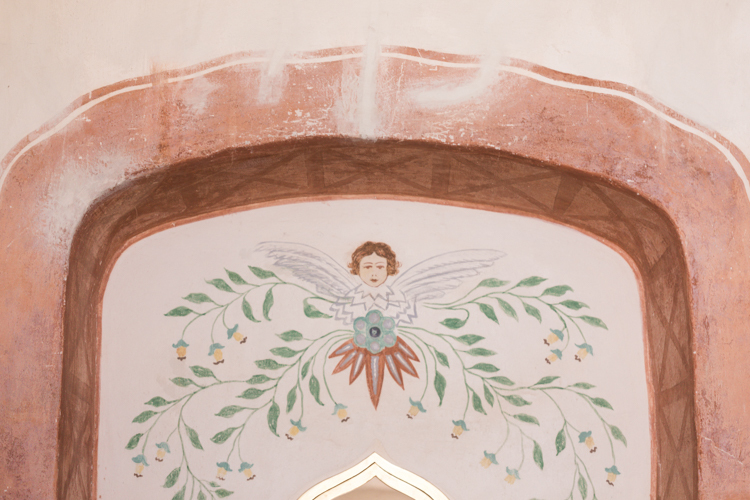 The church walls are delicately decorated with well preserved murals and patterns. 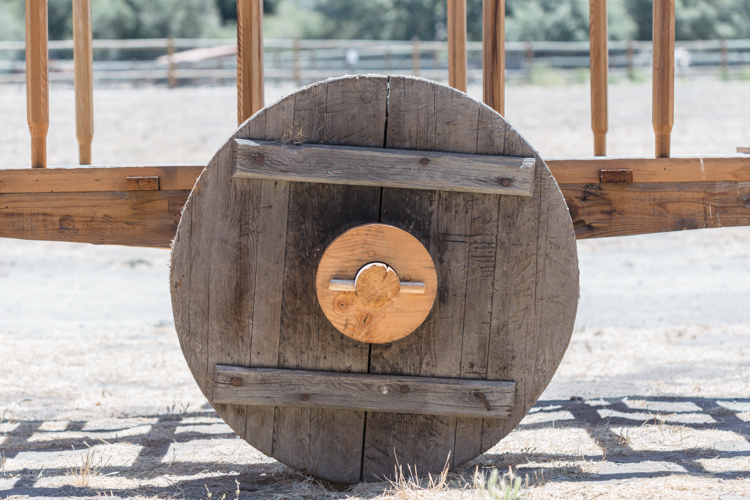 Efforts of the Department of Parks and Recreation as well as the local community are aimed toward visitors gaining a greater understanding and appreciation of California’s past. 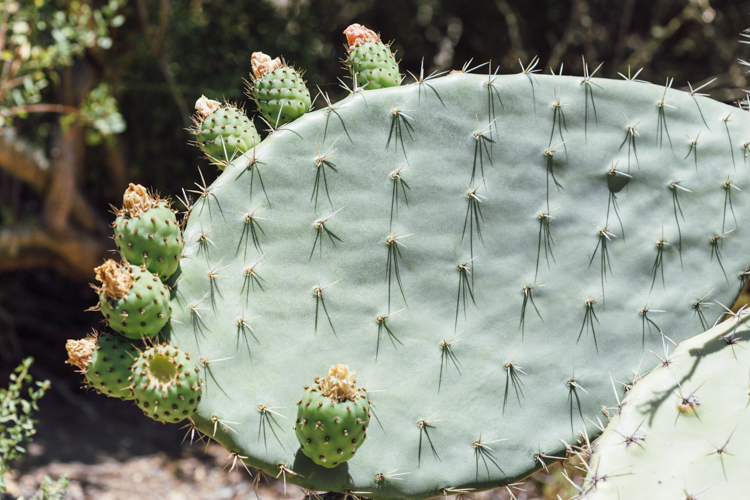 Mission gardens have been restored with plants brought here from the 20 other mission gardens to form one of the best collections of early California flora. 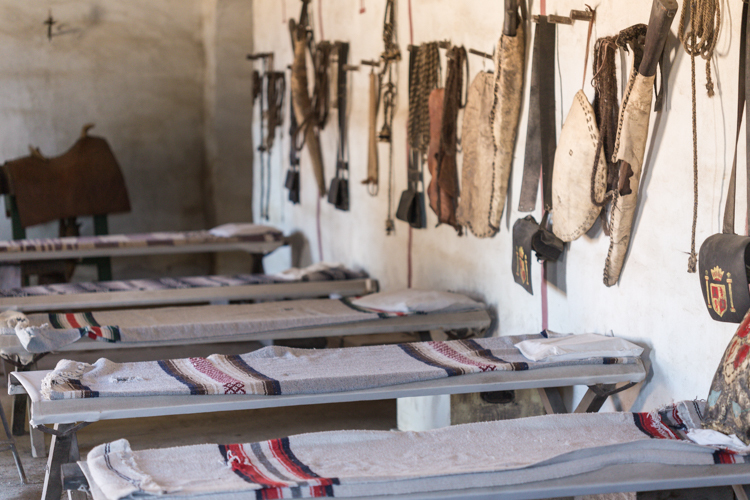 Known for its hides and blankets, the mission was once home to 24,000 cattle and sheep. The livestock which remain today (longhorn cattle, horses, sheep and burro) represent what would have been here in the 1820’s. An annual sheep shearing event is held which teaches about wool production during the mission times. 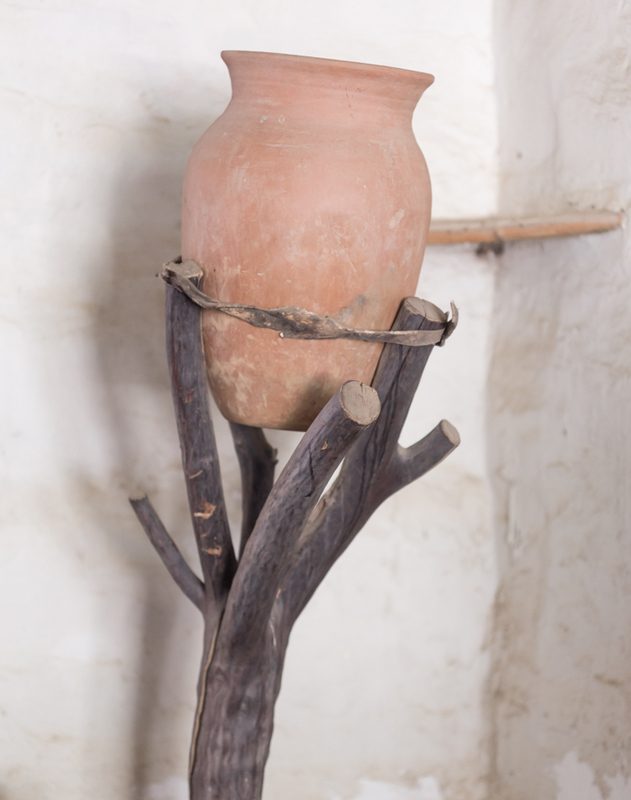 In its early days, the mission was a major producer in harvesting wheat, barley, corn, beans, peas, lentils, chickpeas, in addition to maintaining two large nearby vineyards. These days grape stomps and wheat harvests are held each September. Thank you for visiting TrySomethingFun.com!